Above: Plycraft Lounge by Mulhauser — went for $373.88 on eBay (Jan 22, 2006) Besides producing a heckuva lotta Eames Lounge knockoffs, Plycraft also made a very special lounge of their own, designed by George Mulhauser in the mid-’50s. These are a couple that were on the Bay Area craigslist a couple of years ago. The green one with ottoman and cute little pillow was only $225. It can also be seen in orange vinyl at the Jackson’s Auction site. Plycraft Lounge with ottoman in beautiful shape. $1495 at MetroRetro. Plycraft Lounge with ottoman in yellow leather. Estimate €500 – €800 at Live Auctioneers. Another fabric lounge at Eccola. As far as I know, this chair swivels, but does not tilt. I think the bent ply on this design is wonderful, and apparently so does GOB (right) from Arrested Development, RIP. This posting on the DC craigslist refers to it as “Mr. Chair” but I don’t find any other references of this. Update: Ok, I have since been duly corrected. The product was indeed officially known as “Mr.Chair®”. Below is a confirming label from an auction on eBay. 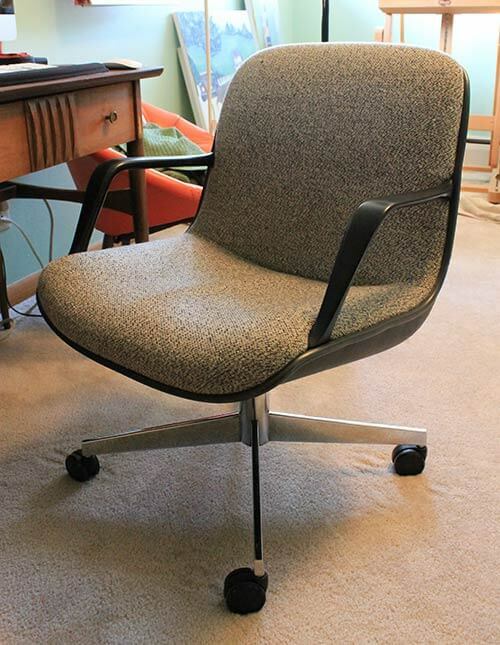 Just picked up a Mr Chair form a consignment shop, like the rest of you it tilts, and stays tilted. I took the whole chair apart today, cleaned up the leather, replaced some foam, and stared at the tilt mechanism., stared some more, and got nowhere. 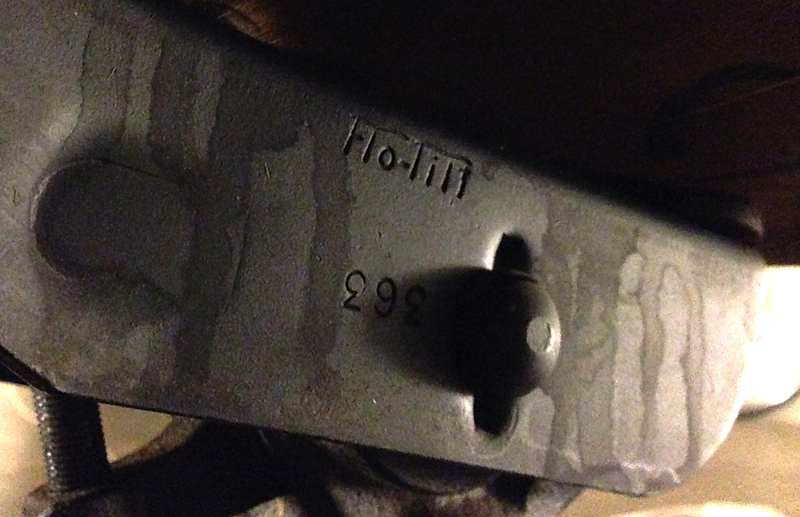 Just now I was back on the floor staring at the base, and the light hit such a way that I noticed is says “Flo-Tilt”. So off to google, and got to this thread and the claim that someone was going to make new cylinders. One step closer, I’ll keep searching. Here is someone who was selling old ones, so there is a chance they might pop back up somewhere. I got an email back from PPF, I suggesting contacting them to speed up the process. “Sorry, I’m out of saleable ones. We are in the process of manufacturing them. I have a plycraft lounge chair and an ottoman and i love it, but it seems the naugahyde has cracked over the years and is somewhat stiff. Does anyone have any tips on cleaning it and conditioning? 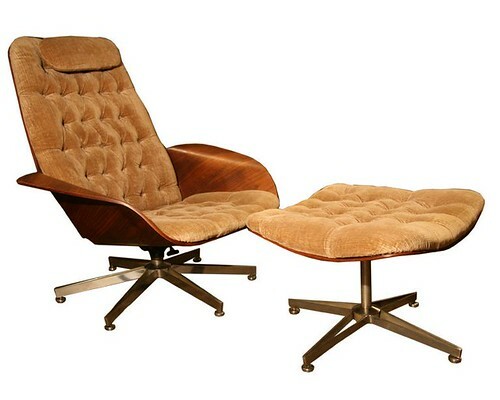 I have this same black lounge chair and ottoman, passed down from my grandfather. Like so many other people, the spring/tilt mechanism is broken. Has anyone had any luck ordering replacement parts? I am in Atlanta Georgia and would love to find someone who could repair this chair. It is timeless and beautiful and I have so many wonderful memories of watching tv with my Papa in it. I commented a while back about finding one of these at a yard sale for $20. It was in pretty rough condition. I sanded and reconditioned the wood, got a blacksmith to straighten the metal base for $5, redid the upholstery, replaced the foam, fixed the tilt mechanism, and repainted the metal of the base. Now it looks good as new. There’s a lot of these kinds of chairs out there, but there was only one I found with the Flo-Tilt mechanism. Hope this info helps with your chairs too.